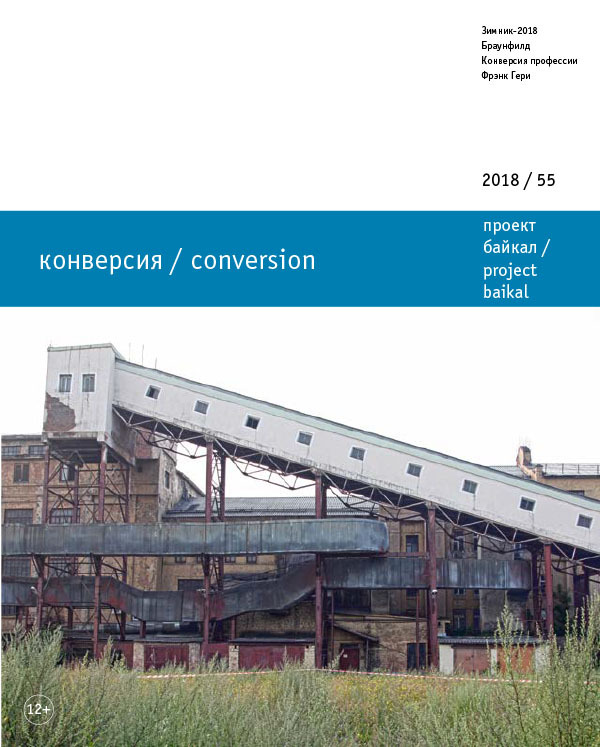 (Re)development of Brownfields is nowadays a challenging task for growing cities since they represent valuable resources for their future development – such as in Irkutsk. Therefore the development of peninsula Zaton is a responsible issue not only concerning the sustainable development of the territory itself, but as well of the whole city. The article explains the tasks and problems of the 19th session of Baikal Winter University and reviews the results. Lontschakowa, Sh., & Chotulew, R. (2012). OAO Irkutsgiprodornii: Projekt planirowki zentralnoj tschasti goroda Irkutska. Irkutsk. ENGEL, Barabara. Brownfield (Re)Development: New Perspectives for Zaton. project baikal, Russian Federation, n. 55, p. 80-85, apr. 2018. ISSN 2309-3072. Available at: <http://projectbaikal.com/index.php/pb/article/view/1290>. Date accessed: 23 apr. 2019. doi: https://doi.org/10.7480/projectbaikal.55.1290.